A population surge has begun in Fort Lauderdale as organizers, exhibitors and visitors head to South Florida Oct. 31-Nov. 4 for the 54th annual Fort Lauderdale International Boat Show. The show opens to the public on Thursday, Oct. 31, but several exhibitors will hold meetings and press events on Wednesday, including Bavaria, the Ferretti Group, MarineMax, OceanLED and the International Superyacht Society. Raymarine’s sea trials also start Wednesday. The largest in-water boat show in the world features more than 1,000 exhibitors, 1,500 boats and over 3 million square feet of exhibit space, including nearly 10 miles of docks, at six venues. More than 100,000 visitors are expected to attend the the show, which runs through Monday, Nov. 4. The total value of boats exhibited at last year’s show exceeded $3 billion. Show Management, which produces the show, continues to refine operations with the return of the Sailfish Pavilion in a new area behind the Greater Fort Lauderdale/Broward County Convention Center and the addition of the 228-foot exhibition yacht SeaFair, which will serve as both a fine art gallery and a VIP lounge, as well as offering upscale dining. The show also continues its northward expansion at the Las Olas Marina with an additional 20 slips for boats between 70 and 100 feet. Kristina Hebert, president of the Marine Industries Association of South Florida, which owns the show, said she is particularly excited about the Sailfish Pavilion’s expansion and redesign. New this year, a color-coding system helps visitors find their way from place to place. Each major section of the show along the Intracoastal Waterway is marked with a different color. Maps distributed at the show have the color codes, and large “You are here” maps are strategically placed around the event. In addition, Show Management’s website offers several pages in Spanish. A network of bus shuttles, water taxis and riverboats also will help attendees navigate the show. At the gate, a major redesign of the entrance will feature a high roof, entertainment and more decorations designed to create a “warm, welcoming” presence, organizers said. Themed villages has been expanded and the free MyBoatShow app was improved to provide quicker map access. Visitors who already have the app automatically receive the new version, as well as updates throughout the show. There are also a couple of name changes this year. PassageMaker magazine’s TrawlerPort has been renamed CruiserPort, and what was known as SYBAss (Superyacht Builders Association) Pavilion is now The Superyacht Experience. In response to last year’s fireworks display, the first day of the show will culminate with a “bigger and better” show launched from the roof of the Bahia Mar, beginning at 7 p.m. 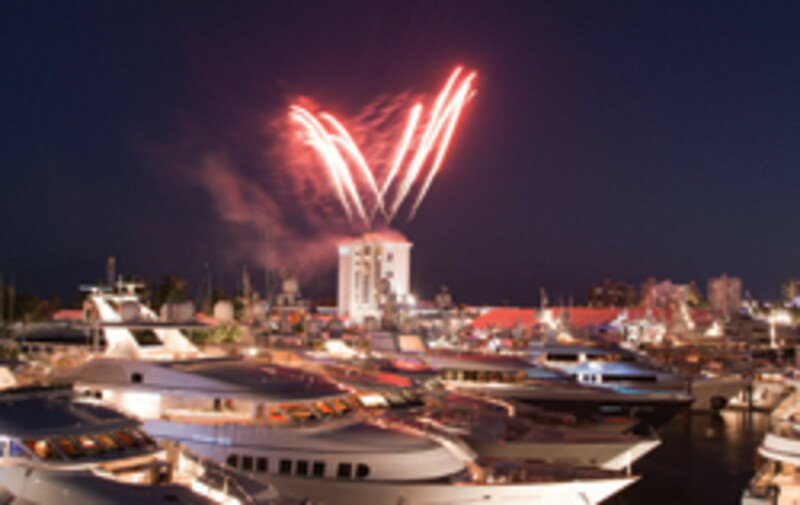 The Fort Lauderdale International Boat Show is owned by MIASF and produced by Show Management, which also produces the St. Petersburg Power & Sailboat Show, the Yacht & Brokerage Show in Miami Beach, the Palm Beach International Boat Show and the Suncoast Boat Show — all Florida events. Active Interest Media owns Show Management, as well as Soundings Trade Only, PassageMaker, Yachts International, Soundings, Power & Motoryacht and Sail magazines, and BoatQuest.com.